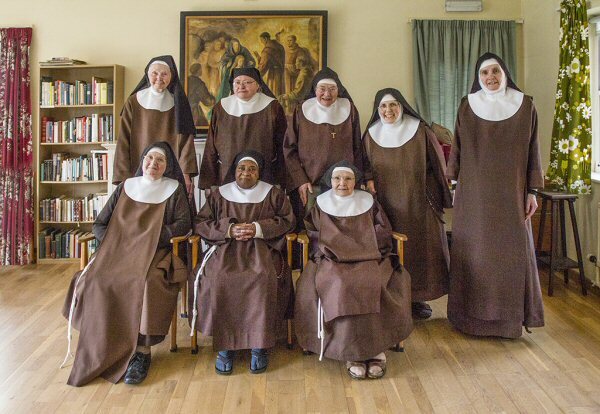 You have arrived at the home of a small group of nuns who go by the name of “Poor Clares”. We are lucky to live in delightful countryside, even though we are only six miles from the Cathedral city of Hereford. We are what is called “enclosed”, which means that we don’t go out except for certain practical purposes, and people don’t come beyond the enclosure boundary unless we invite them on account of their expertise. Still, if you want to have a peep inside you can do: just click the appropriate topic from the menu above, or use the links in the column on the right or the search box to find something specific. I come, O Lord, unto Thy sanctuary to see the life and food of my soul.